We were served immediately and they didn’t assume that we wanted to have lunch or dinner but asked if we were having drinkies. Baby A and I got the ice coffee and my gosh it was beautiful. 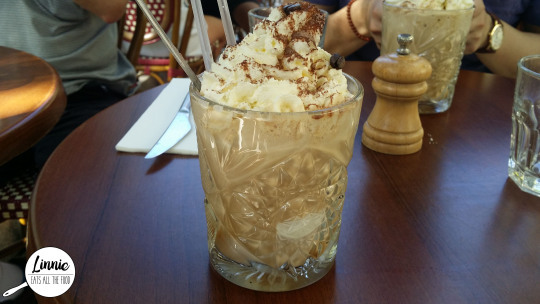 It had such a strong coffee flavour and when you mix in the ice cream and cream, it sweetened it up and that was absolutely perfect for me. Daddy Bear loved it but he already had a cappuccino in front of him. Mumsy Bear got the coffee and muffin combo since there was a deal. 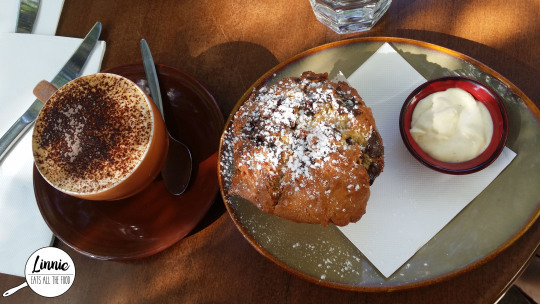 She got a cappuccino and a cherry and white chocolate muffin. The parentals weren’t impressed with the coffee but they really liked the muffin. It was GINORMOUS and was lovely with the provided cream. However, I did find it to be on the dry side. The service was AMAZEBALL and the ice coffee was awesome sauce. If I come back to Noosa Head I really want to check out the dining menu whilst watching the awesome view. 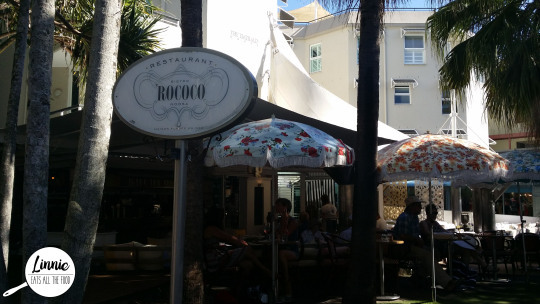 I’ll definitely be back Rococo so you can rococo my world.